CABARRUS COUNTY, NC (WBTV) - More than 100 animals were seized from what law enforcement officials are calling an illegal puppy mill in Cabarrus County. According to a news release, the Humane Society of the United States was called in by the Cabarrus County Sheriff's Office to assist in the rescue. The Cabarrus Sheriff's Office served a search and seizure warrant on the property on Monday and reportedly found approximately 105 dogs, 20 cats and three goats housed in unsafe and unsanitary conditions. Many animals had untreated medical issues, were pregnant and in need of urgent veterinary care. Representatives from Cabarrus Animal Hospital are providing veterinary expertise. The warrant was served at a home in the 4000 block of Hilton Lake Road in Kannapolis. Patricia Yates, 69, was charged with one count of animal cruelty. A check of state records found that in 2013 this home based shelter, operating as Little Farm, failed an inspection, for among other things, a "copious amount of feces," and rusting cages. In 2014 the shelter failed another inspection for many of the same issues, most dealing with cleanliness, then last year, the state revoked the Little Farm's registration as an animal shelter, citing a lack of cleanliness and medical for dozens of animals. Apparently Ms. Yates continued to operate her business. The HSUS and Cabarrus County Sheriff's Office removed nearly 130 animals, and their custody is pending the final disposition of this case. "North Carolina is one of a handful of states that has failed to enact any regulations for commercial dog breeders," said Erica Geppi, North Carolina state director for The HSUS. 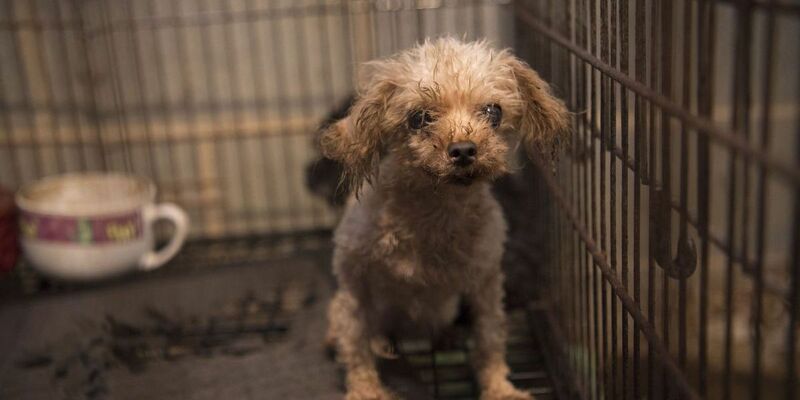 "The HSUS is urging the North Carolina legislature to enact meaningful reform that can prevent puppy mill cruelty in the state." The release states that an anonymous complaint to local law enforcement led to an investigation of the property. In cooperation with the Cabarrus County District Attorney's Office, the Sheriff's Office determined further action was necessary. "Animal cruelty comes with serious consequence," said Lt. David Taylor. "Our number one priority is the protection and safety of the animals, including their environment. In Cabarrus County we're investigating claims and prosecuting to the fullest extent of the law. However, the investigation is just the beginning of the story. We are fortunate to have the support of The HSUS as we move forward with the response." The HSUS has safely transported the dogs and cats to a temporary emergency animal shelter. Animal rescue volunteers and responders from Red Rover are assisting with the temporary caretaking of the dogs and cats, and Banfield is providing medical supplies. Once at the shelter, the animals will be thoroughly examined by a team of veterinarians and receive any necessary immediate medical treatment. The Cabarrus County Sheriff's Office transported the goats to a safe facility for large animals. The HSUS has established a reward program to offer up to $5,000 to anyone who provides any information leading to the arrest and conviction of a puppy mill operator for animal cruelty. Persons wishing to report a valid tip are encouraged to call 1-877-MILL-TIP and can remain anonymous.